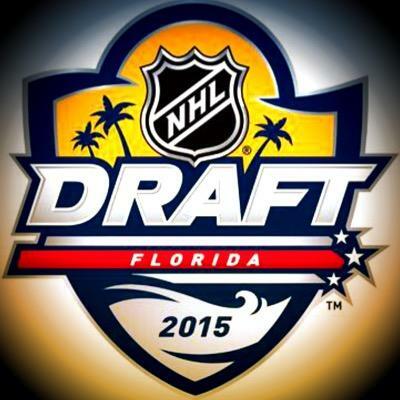 Pro Hockey – Welcome to Daly Dose Sports- Your dose of sports and sarcasm. Daly Debate: Which is better? The NBA Finals or the Stanley Cup Final? Which has a better Finals? The NBA or the NHL? We tackle that argument in our Daly Debate. Locales Oakland and Cleveland Chicago and Tampa NHL- Some people actually choose to go to Chicago and Tampa. On purpose. TV Network ABC NBC, NBCSN, Cartoon Network, VH-1 NBA- Because unlike their officiating…it’s consistent. Best Coach LeBron James Joel Quinneville NHL- Sometimes the players actually listen to their coaches. Best scorers LeBron James and Stephen Curry Tyler Johnson and Patrick Kane This is too close to call. But Patrick Kane might actually do more scoring off the ice than on it. So NHL but barely. Best defenders Matthew Dellavedova and Andre Iguodala Keith Duncan and Victor Hedman NBA- While the hockey guys are way more physical, Dellavedova will unabashedly dive into your knee and ruin your career. Officiating So inconsistent that we use phrases like “that’s not an NBA travel”. It IS traveling for young kids learning the game. But NOT at the highest levels of basketball competition. Rarely noticed and no tell all books forthcoming about how hockey refs are on the take. NHL. And it isn’t even close. 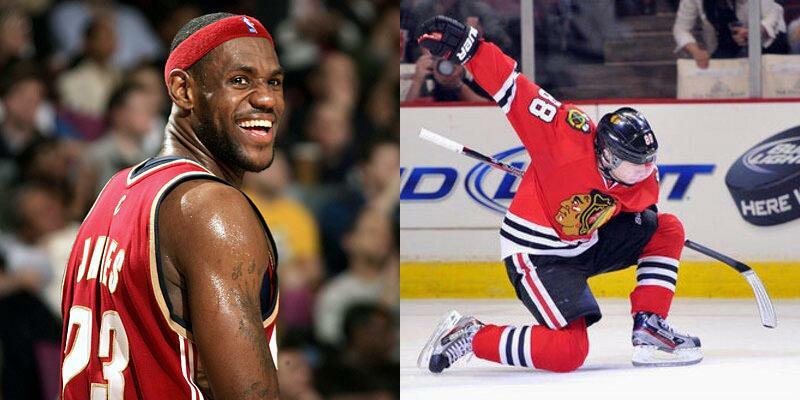 Best Hairlines LeBron James Patrick Kane Pick-em. Kaner is losing forehead real estate but the NHL mullet allows coverage. LeBron has stapled some sort of carpet sample into his scalp and no longer has to wear his headband like a bonnet. Fan apparel Warrior fans have their yellow shirts and Cavs fans are wearing slightly burned LeBron jerseys. Tampa fans are wearing tank tops and Chicago fans are all sporting Gap jeans. NHL but barely. Tampa banned the wearing of other teams’ jerseys in their arena which is pathetic but Chicago probably has the greatest jersey in all of sports. Final Decision Two overtime games so far and 15.62 million viewers on Sunday night. Three very competitive games but only 5.59 million people watched the matinee start on Saturday. NHL wins but aside from a few people wearing jean jackets in Canada…who would ever know?